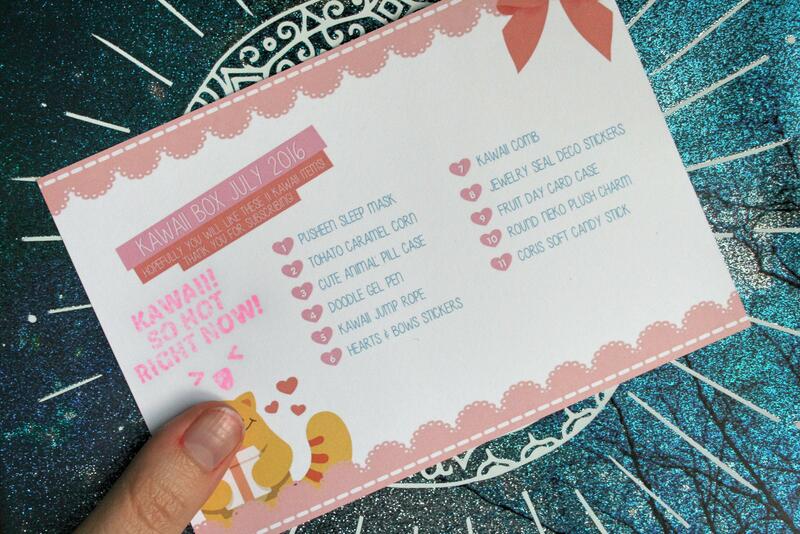 So, Kawaii Box is a subscription box company that specializes in shipping out cute items from Japan and Korea to be shipped to your door every month! I got a free trial box to review with you all today. Stick with me to the bottom and there will even be an awesome giveaway of a brand new surprise box for one of you! Overall, I was impressed and got a kick out of opening my package and seeing what I could do with everything in it! While I’ll note that my box arrived very badly banged up, I’m apt to blame the post office for that. Everything inside the box was still surprisingly safe and intact despite the utter beating the box took, so that was reassuring! I got 11 items in this month’s box! I was surprised by the amount of things they actually give you! It was terribly fun pulling each item out and enjoying the surprise! Outside of the comb (I have stupidly curly hair which no comb can tame) and the jump rope, I found a good use or got a lot of joy out of everything sent to me! They also give you a little card with a rundown of the items in the box. This was awesome to identify certain things; like the soft candy stick and business card holder! The sleeping mask was probably the cutest thing in there! Wow; so adorable!! I was very excited that they included snack and candy in this month’s package! The caramel corn puffs tasted like Cracker Jacks, with peanuts inside. Honestly I loved the soft candy stick best. Wow, it was yummy and very fun to eat. It tasted like green apples and had a texture I’d never had before in candy but would love to have again. I LOVE my new little keychain buddy! I put him on my purse immediately and now he comes with me everywhere! Definitely kawaii! 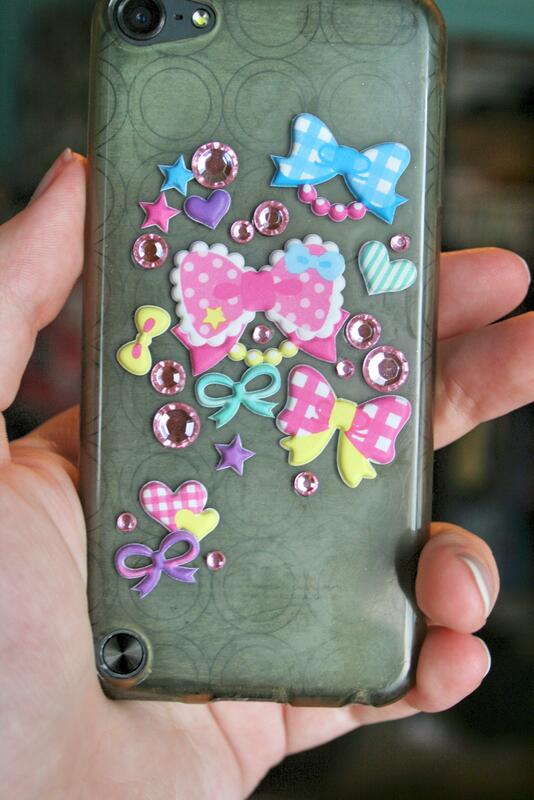 I got two large sets of stickers as well; at first I wasn’t sure what to do with them but then I decided to decorate one of my plain iPod cases and ended up having the best time! The bow and ribbon stickers were especially fun because they were soft and a little squishy! I wondered if they’d stick for very long, but so far both the little jewels and the ribbon stickers have remained securely fastened. I use my iPod a lot; it’s constantly in and out of my pocket, so I’m very happy with the quality! And aren’t these so adorable! I had to fish them back out of my purse to take this shot. The pen is black gel, and the ink quality is actually wonderful; very smooth! The card holder is super adorable and holds quite a few cards! 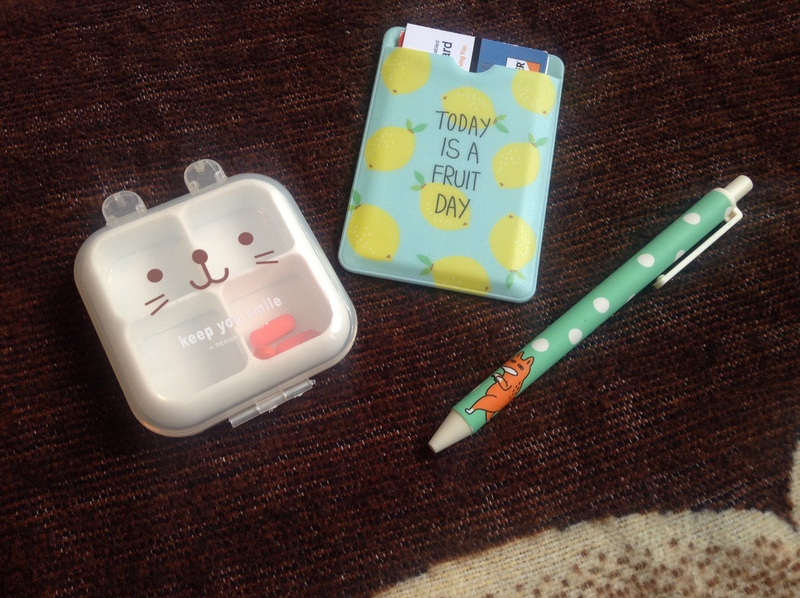 But my favorite is the pill box; I’ve been carrying aspirin around in my purse in a sandwhich bag for a year–I was desperately needing this, and to have such a cute one really pleased me! 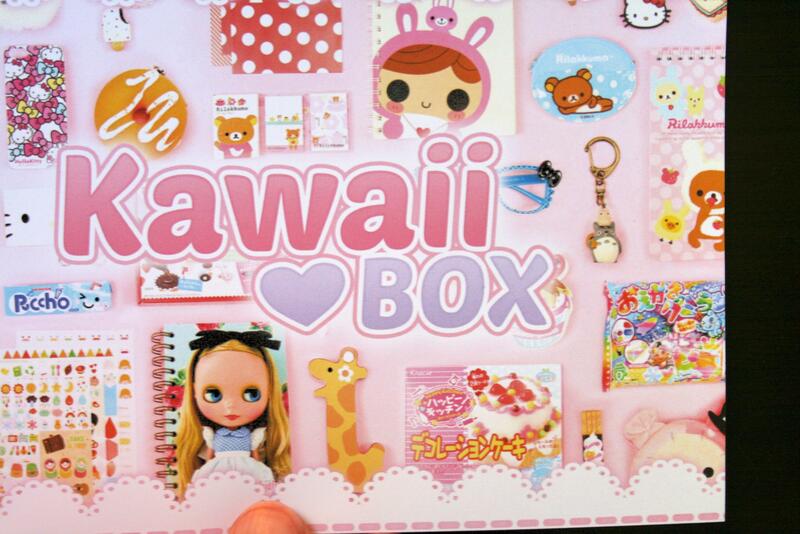 Kawaii Box offered to give away another free box of new items to one of you, my followers! WordPress usually hates Rafflecopter, but after some clicking around I finally got the link below to work! Yay! So be sure to follow the link and enter; all information should be found there! Best of luck! Wow! This is so neat! 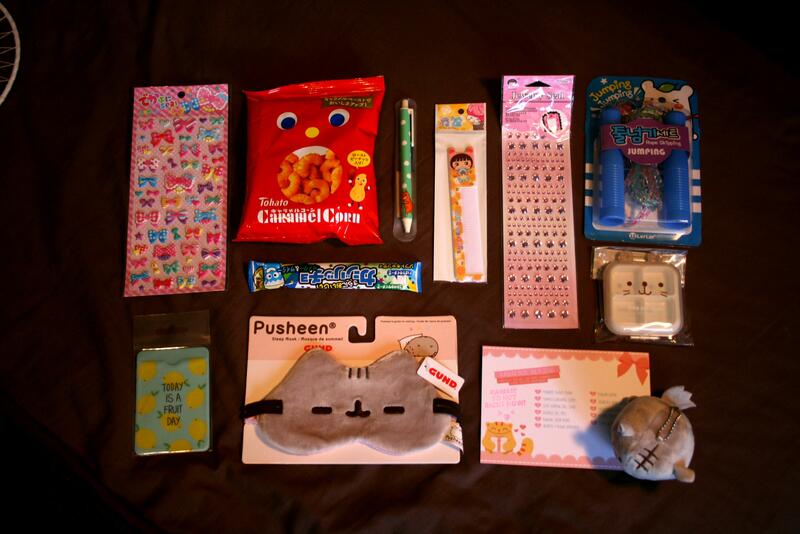 I love everything Japanese so this box is amazing!